The festival begins with the event “ANO Aear” in spring. This year, “ANO Aear” will be held on Saturday, April 13, and will focus on the sacred music of Great Lent. 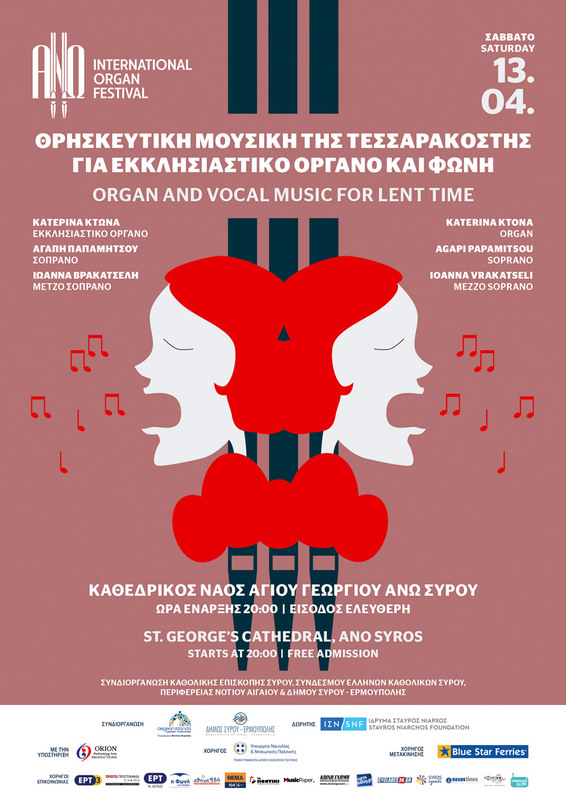 For its 2019 “ANO Aear” event, the festival has selected works by seminal composers of the 15th, 16th, and 17th centuries, written for organ and voice which will be performed by: Katerina Ktona (organ); Agapi Papamitsou (soprano); and Ioanna Vrakatseli (mezzo-soprano).